Belize is no longer a place where you have to bring everything with you because you can‘t buy anything. Nevertheless, there are still many products that are considerably more expensive, so it is wiser to buy them elsewhere. There is some recommended equipment that is a particularly good idea to take with you, since the variety of goods in Belizean shops isn’t known for being particularly wide. A separate chapter of travel preparations concerns vaccinations, which you may need to get before traveling to this lush, tropical destination. Let’s start with a luggage – taking a suitcase to Belize is almost inappropriate. Unless you are planning to stay in the most luxurious resorts and transport yourself almost exclusively by plane, then we would recommend a backpack. After all, you would look a bit odd on the Belizean streets if you were dragging a Louis Vuitton suitcase behind you. If you plan to do more than be a beach bum, then you probably plan to visit the Cayo District, where you will experience extremely high levels of humidity. It is almost like a bizarre magic trick. As soon as you walk out the door, you will be wet faster than you say “rain”. Drying your clothes is sometimes a superhuman task, but you certainly can’t go wrong when you put on lightweight trekking clothes for some of your wanders. Lightweight merino wool shirts are ideal choices as well. You want clothes that will breathe and keep you cool and dry whenever possible. Just because it is a tropical paradise doesn’t mean that you shouldn’t bring at least one pair of long trousers. They can actually be useful, especially in the evening as protection against annoying mosquitoes. Perhaps most importantly, don’t forget your swimsuit, since you can swim in the sea and various rivers throughout the country. However, make sure to ask the locals or other swimmers if the area is crocodile-free. Everyone who visits Belize, unless you’re a beach bum, that is, will need a good pair of trekking boots. On treks or small expeditions into the jungle forests, it is vital to have a solid pair of shoes with high socks. The second alternative is sandals with a solid tip that you can take into the water. These boots are ideal for exploring caves, such as Actun Tunichil Muknal cave. Well broken-in sports shoes are always a good choice too. Definitely forget about polished, patent leather shoes; you would look like a fool. Electronics are much more expensive in Belize, so be sure to bring enough memory cards for your cameras, or else they will cost you dearly. You don’t have to take a pile of shirts and pants, however, because there are laundromats where you can wash and dry your clothes for a small fee. Any chance that you’re an adrenaline junkie? Not to worry! Instead of piles of clothes, you would be better off taking a well-equipped first aid kit. 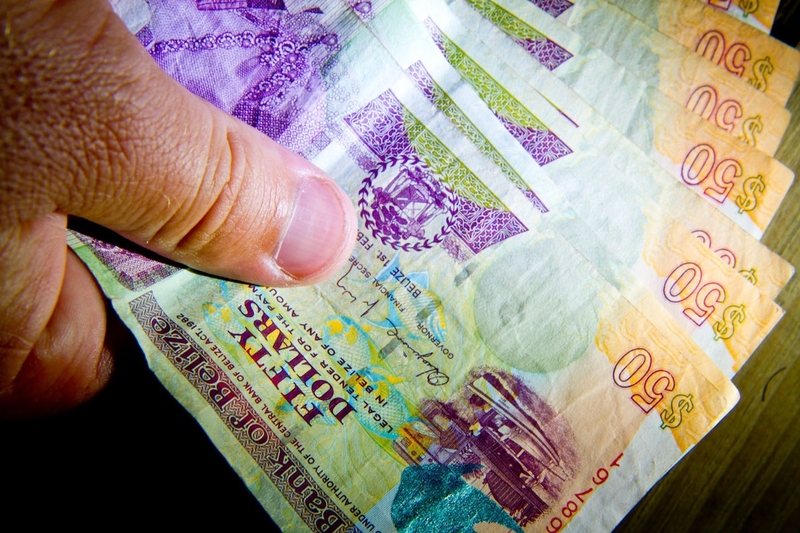 The currency in Belize is a big question for a first-time tourist to Belize, but it isn’t too hard to figure out! The Belize dollar has remained steady at 2 BZD to 1 USD for a number of years now. Furthermore, you can pay for almost anything in US dollars. Ideally, you should keep some U.S. and Belizean cash in your pocket and let your credit card do the rest. Withdrawing money from ATMs is possible in all major cities, but be careful if you are planning some trips outside of the bigger cities. Some villages will be more than 10 miles (16 kilometers) away from the nearest ATM. Not everyone is able to completely escape from modern conveniences, so access to electricity is somehow crucial for a comfortable holiday experience. In Belize, the power plugs are the same as they are in the United States, so travelers from Europe, including Great Britain, will need to travel with power plug adapters. In addition, the voltage in Belize is the same as in the United States, so don’t worry about blowing any circuits!